Each such mushroom appears carved individually. The flexible Helvella can be seen from July onwards, in forests and forest outskirts, also in parks in high grass. The cap is yellowish grey to brown, with a fragile consistency. Allegedly non-edible but in the opinion of mycologists in some countries it could be classified as edible, although it has no taste. 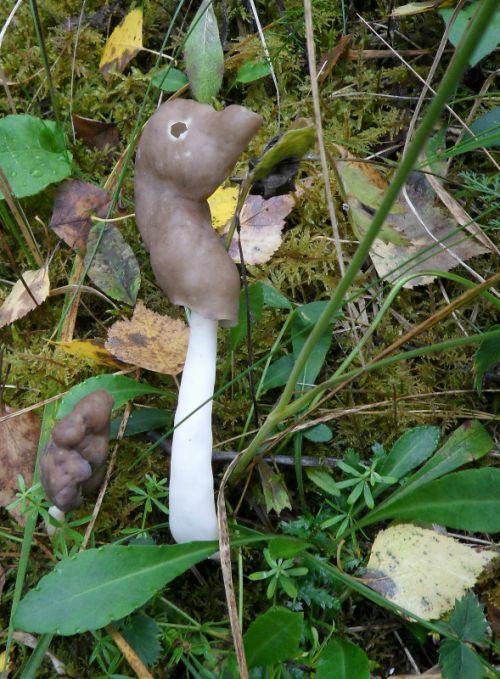 Members of the same genus and no less decorative, the white or elfin saddle, /Helvella crispa/ and black elfin saddle or fluted elfin saddle /Helvella lacunosa/, grow in the same habitats in Estonia.